Welcome to Theme Park Overload! 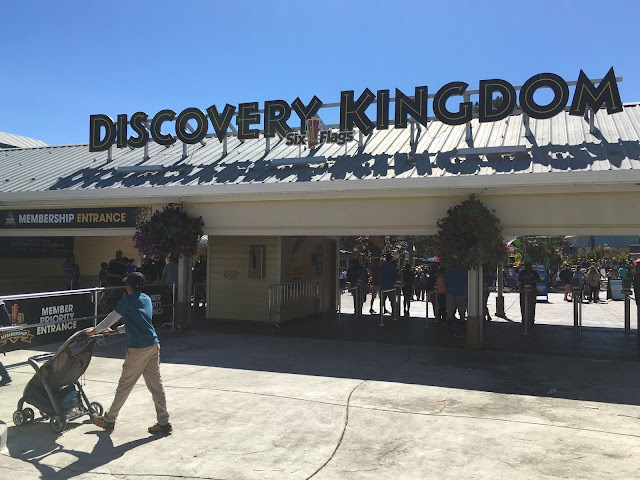 In our first update from our Orlando trip, we head Universal Orlando Resort to check out the latest updates from both parks as they gear up for the busy summer season ahead! We'll also take a special look at the new Race Through New York starring Jimmy Fallon ride, and peek at the hot Fast and Furious: Supercharged construction site! Welcome to Universal Studios Florida! The summer season is kicking off right about now, so that means it's time for a visit! But first, you can't enter either park without gazing at this behemoth! Looking to the left of USF’s entrance, the highly themed Toothsome Chocolate Emporium is an attraction in itself! It’s good to see Universal innovating more than just rides at its resort, as this project paid off! Inside the parks, we caught E.T. on its last day of annual maintenance during our visit. But no worries, as it's has already reopened fresh from its refurb as of today. Race Through New York Starring Jimmy Fallon! 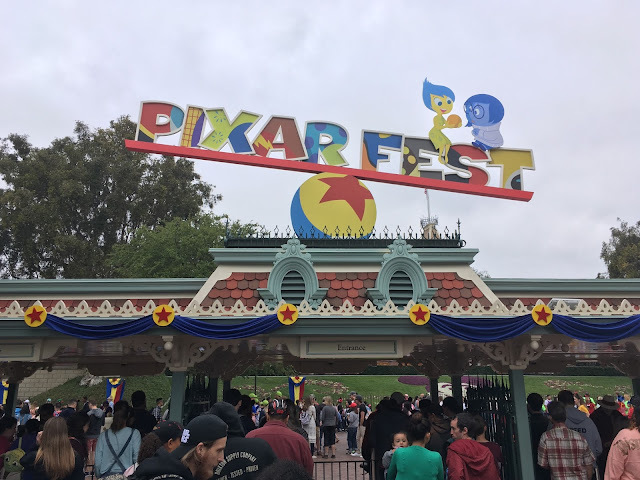 The attraction has been open for almost two months now, and features new Virtual Queue technology. 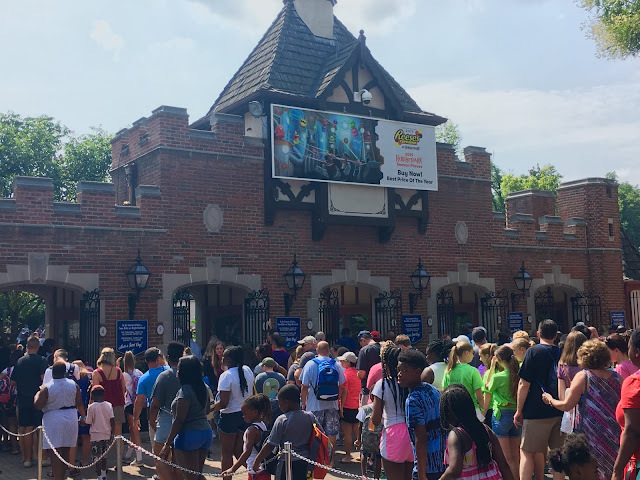 The ride allows guests to use the Universal mobile app to select a return time, and then ride with a minimal wait time. So does it work? After receiving a color-coordinated placard, guests are free to roam around in this area that showcases memorabilia displays from Tonight Show hosts. While riders are supposed to wait until the room illuminates to the color on their placard, employees during my visit were telling guests to move upstairs to the next section whenever they wanted. But, that freedom for guests came at the expense of this mess upstairs. In this second area, more activities entertain guests while they once again wait for the room to illuminate to their designated color on their placard. This is the point when guests actually enter the ride itself, so employees on this level do make guests wait until their color is shown. This created a massive crowd upstairs and a ghost town downstairs, as everyone was crowding around the ride entrance upstairs and stampeding every few minutes when the color changed. The virtual line concept has great potential, but the execution on the park’s end needs to be slightly tweaked. As for the ride itself: Many early reviews were quite critical on the attraction, and these reviewers weren’t impressed with this 3D ride simulator attraction. I think it may come from a fatigue with Universal’s endless collection of simulator attractions that never seems to end, which has some fairness in it. But, I found the ride to be quite entertaining and just-as-advertised. You are literally taking a “Race through New York”, and the ride clearly delivers on this promise. You race through Times Square, the Tonight Show studio, the Statue of Liberty, and a few other interesting locations that I won’t give away. I thought the ride had some genuine comedic moments as well, but this could be more on the opinion end for me. Basically, if you find Jimmy Fallon and the Tonight Show entertaining in any way, you’ll likely enjoy the ride! Moving on, the Fast and Furious: Supercharged construction site is a hot one right now. Extensive work is being done on the facade currently, as workers were actively hoisting pieces of hardware into place. Panning left a little, the main show building's facade behind everything looks just about done. This photo is a little bit obstructed, but this is another angle from the other side that gives a good view of all the hardware being used. The protective covering over the facade has a good number of holes in it now, offering slight glimpses of this new attraction to guests as they walk by. Continuing down the walkway, work is being done on all ends of the construction site. Universal definitely keeps its construction crews busy! And finally, Kung Fu Panda is now meeting guests in person at the resort. This shot was taken right just past the park entrance at Islands of Adventure. Hopefully he’ll have a permanent home of his own in a couple of years somewhere at the park! That's all for now from Universal Orlando Resort! Make sure to "Like" our Facebook page to get the latest theme park news delivered straight to your inbox (Including all of our coverage of Pandora and the Walt Disney World resort in the next couple of days!) Facebook.com/ThemeParkOverload My name's Nicholous, and Thanks for Reading!